This is quite a day, as I have two radically different stories out in radically different anthologies! 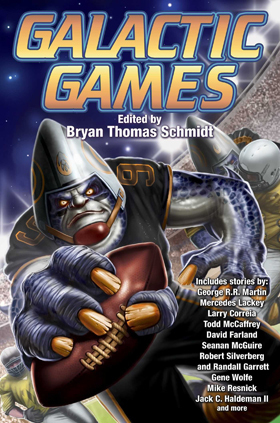 Galactic Games is my first time in a Baen anthology! Yay! These stories follow different sports around a central theme of the titular Galactic Games. My story is “Minor Hockey Gods of Barstow Station,” with a team of disillusioned human roller hockey players stranded on a very cold alien space station. The table of contents for this book just blows me away: George R. R. Martin, Robert Silverberg, Seanan McGuire, Mercedes Lackey… wow. I’m thrilled that editor Bryan Thomas Schmidt is letting me mingle with the big kids. 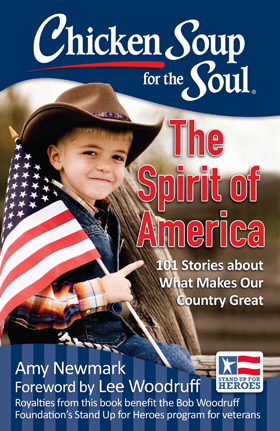 Meanwhile, my other book out today is Chicken Soup for the Soul: The Spirit of America. My story is one among 101 others, and is about my autistic son Nicholas and how we have learned how to celebrate the 4th of July in new, wonderful ways. This is one of those stories that makes me emotional because it hits me with a profound sense of homesickness. I guess the folks at Chicken Soup felt some of that vibe, too.